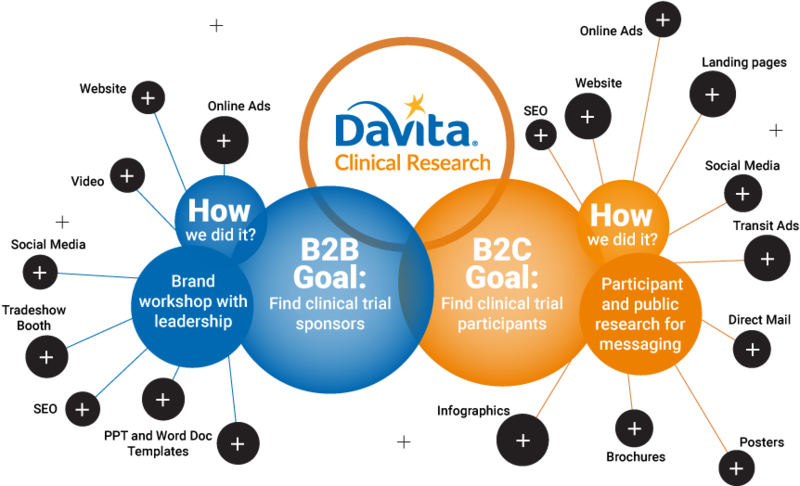 DaVita Clinical Research’s (DCR) marketing and communications address distinct audiences across multiple, interdependent channels. DCR manages clinical trials for pharmaceutical and biotech companies. 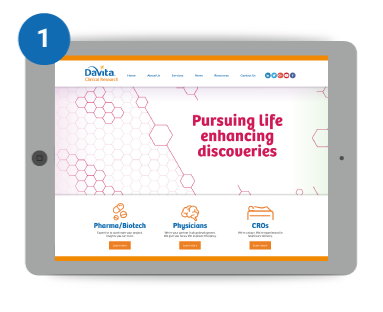 DavitaClinicalResearch.com to market to potential trial sponsors. We started B2B marketing efforts by conducting a survey of DCR clients and leading a branding workshop with DCR leadership. Through the client survey, we were able to identify perceived strengths and weaknesses of DCR – these findings highlighted target areas to improve messaging and outreach opportunities. In the brand workshop we worked with DCR to create: target customer groups and appeals for each, a competitor landscape and how DCR fit in, and mission and values statements. 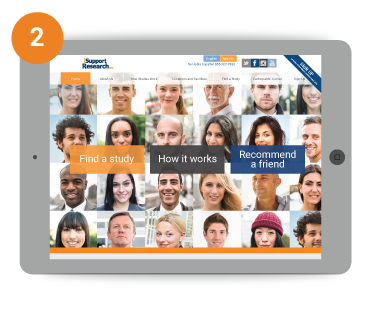 iSupportResearch.com to encourage and recruit trial participants. We started B2C marketing efforts with a robust research inquiry into motivations and barriers to participating in clinical trials. We created and fielded three surveys: one for previous DCR trial participants, one for experienced participants that had never done a DCR trial, and another for the general public that had never participated in any trials. After compiling the findings, we held one-on-one interviews with select members of each group to identify and refine messaging and outreach opportunities. Your digital needs may be fewer or greater than DCR’s. The brand workshop offers an affordable entry into developing a strategic vision. We also offer research services ranging from simple surveys to in-depth ethnographic research to help you get your customer’s perspective. You also may not need all the outputs we created for DCR – we’ll let your unique digital strategy drive your needs.